The Spartan Blades Kranos flipper is custom quality knife in every way. From its textured interior to its finally fitted inserts, it is an artful mixture of modern technology and classic looks! The Kranos folders dual bearings provide for a smooth and rapid one hand opening. 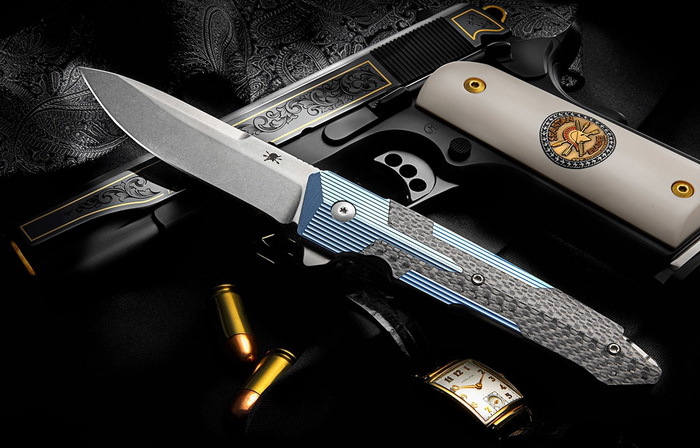 This knife is made using only the finest material from its CPM S35VN Blade to its 6AL4V Titanium frame, spacer, and pocket clip. Blade Style: Spear Point – Flat ground main bevel with tapered top edge.